I accidentally had the engine running while in shallow water with a rocky bottom. I heard pebbles get sucked up and blown out the back and immediately shut it off. Although I got lucky and didn’t damage my impeller, the pebbles cut off the siphon tube that sticks out of the steerable nozzle at the back of the jetski (water exhaust). I’ve read that water can flow back into the hull if the tube is damaged and as you can see in the pictures below, the damage was such that the water was doing just that. Unlike the newer PWC’s, my 2008 model did not have a check-valve. Now that I think about it, I wish I had stuck a camera in there and taken it for a spin to video the leak – regardless, I fixed it. Here is a picture of the new siphon tube which I replaced. This little siphon tube in it’s broken state could have sank my waverunner! And here is a picture of the broken part, which some waverunner forums claim can cause water to enter the hull. The thin part to the right of the tube was sticking into the water stream and may have been allowing water to flow into the engine compartment. I’ve ordered a connector with a check value that prevents back-flow just in case this happens again and will document that when it arrives. 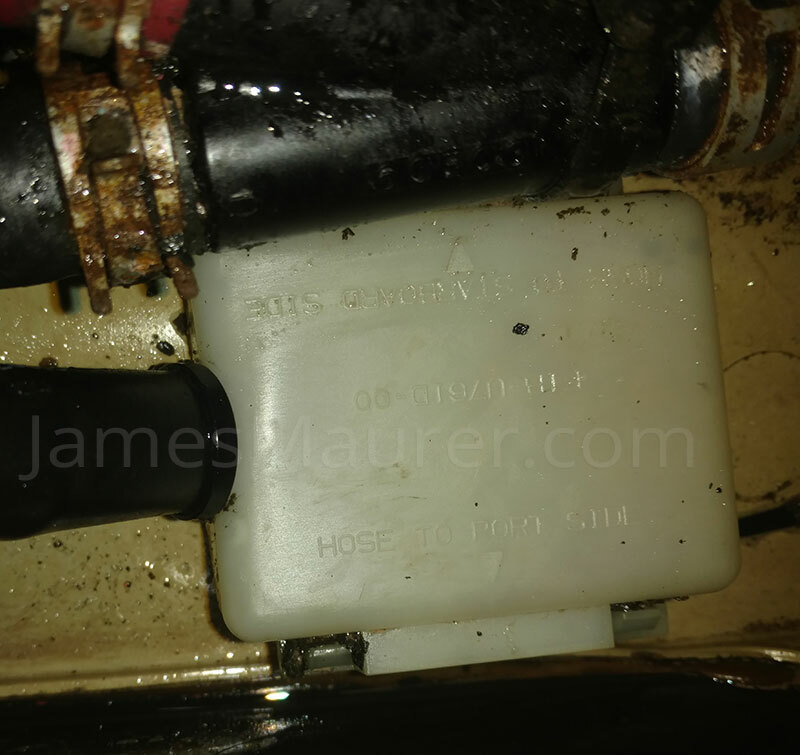 I’m big on waves and often they engulf the entire jetski, so I assumed that was why I was taking on water but at a loss as to why my bilge pump was not working correctly. 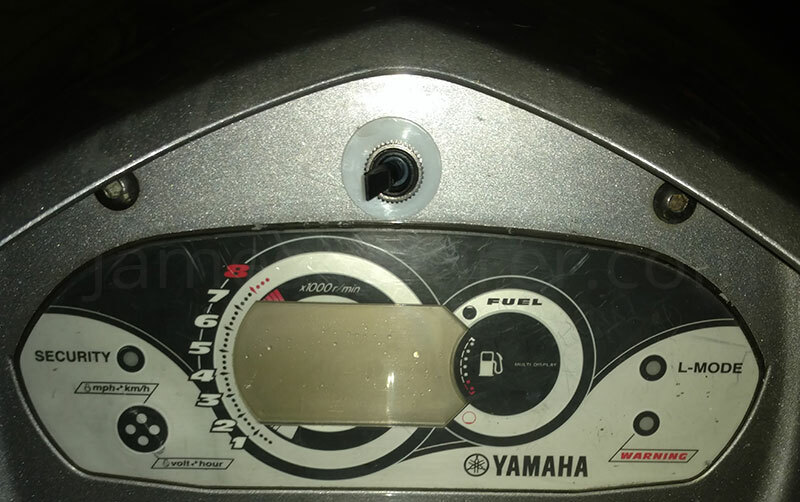 On my Yamaha VX100 Waverunner, I have a bilge pump with a hose to the jetpump that siphons the water from the engine compartment as it’s moving through the water. The base unit is a simple white box with a screen which sits flush with the bottom of the hull. My first guess was that the screen or hose was clogged, so I removed the hose from the white box and ran water through it and it came out the back of the jetski as expected. I also cleaned the screen and ran water into the other end of the hose and had good flow into the engine compartment, so no problem there. Then I learned that the missing siphon tube may be the problem (and once again, I have to give credit to Earnest at PWCforum.com – a wizard at all things Personal Water Craft!) and that’s when I came to the conclusion the pebbles had damaged the hose. 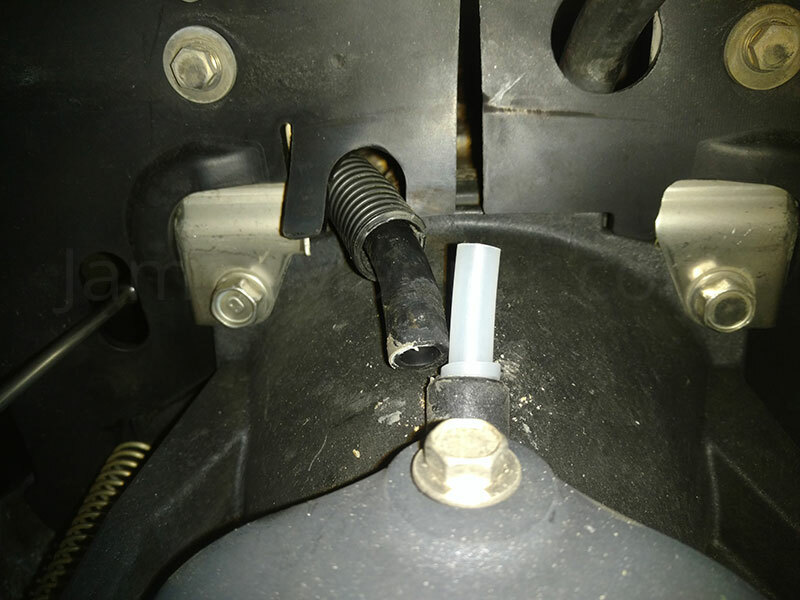 I set out to buy the replacement part from my local Yamaha PWC dealer only to find that you can’t buy the siphon tube and instead need to purchase the entire jetpump Nozzle at a cost of $160. The mechanic said that the broken part pictured above is not supposed to come out. Below is a diagram of the entire bilge / siphon system. 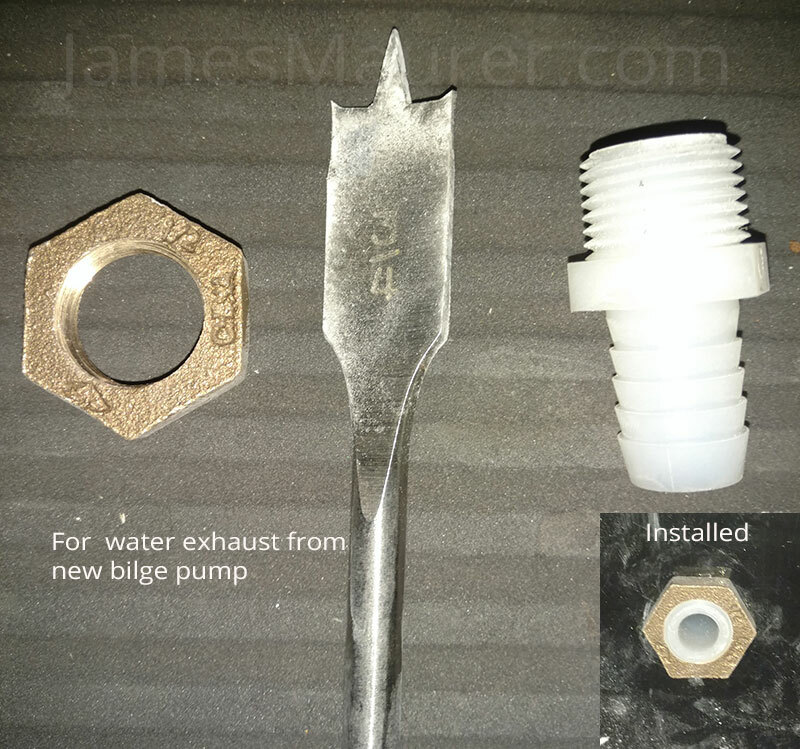 If the hose (#7, #1) or filter (#13) is clogged, the factory bilge will not work. You can’t buy a replacement, so I had to make one and here is what worked for me. 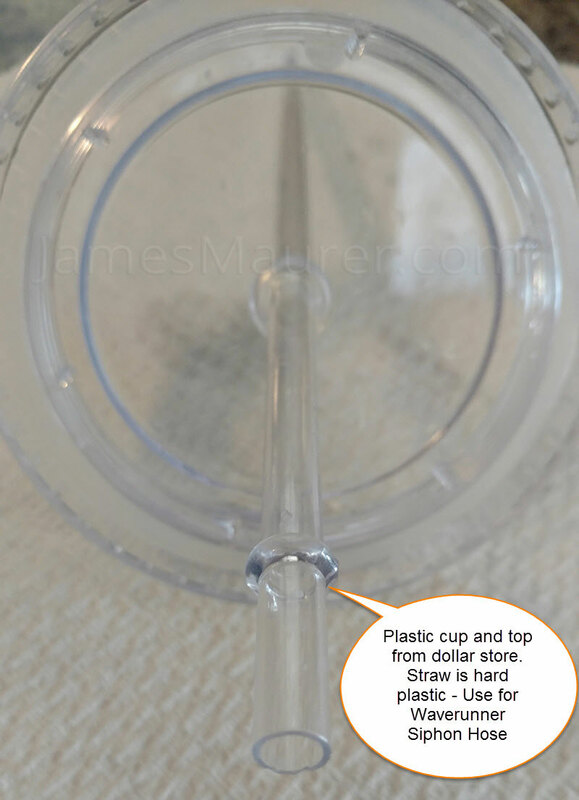 Slide the 1/2″ over and to the middle of the 3/8″ tubing and permanently glue it in place and wait for it to dry – this keeps the tube from slipping though the water exhaust. Another type of Siphon Tube for the Waverunner! 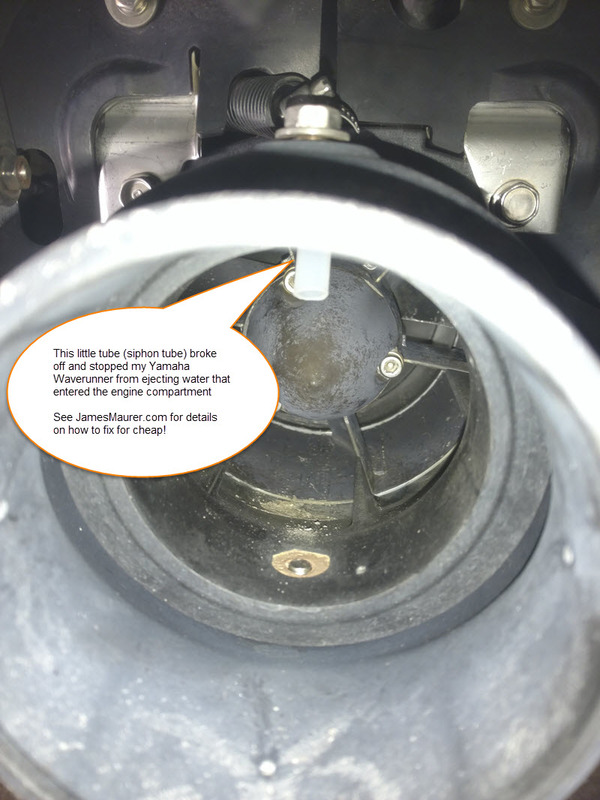 PREVENTING WATER FROM ENTERING THE HULL – CHECK VALVE! The check value shown below was used to replace the old value which DOES NOT prevent water from being sent from a damaged siphon tube back into the engine hull! This is a no brainer, and you should purchase and install it if you don’t have one already. Note: Mine is a 2008 Yamaha Waverunner VX1100 deluxe and from what I understand, the newer models have them. To check, simply pull it off, blow on both ends and if you have airflow from both, then you should consider a replacement. 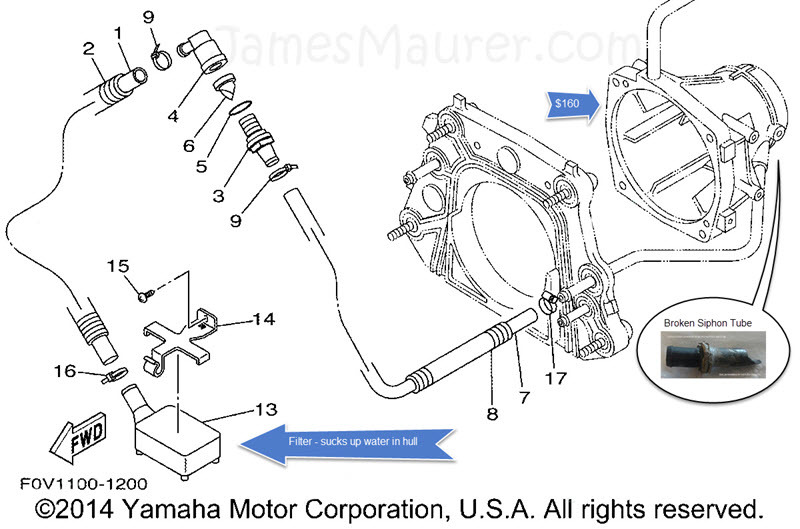 I paid $35 from eBay for the check valve – part number: Yamaha OEM JOINT HOSE 68N-5112T-00-00. 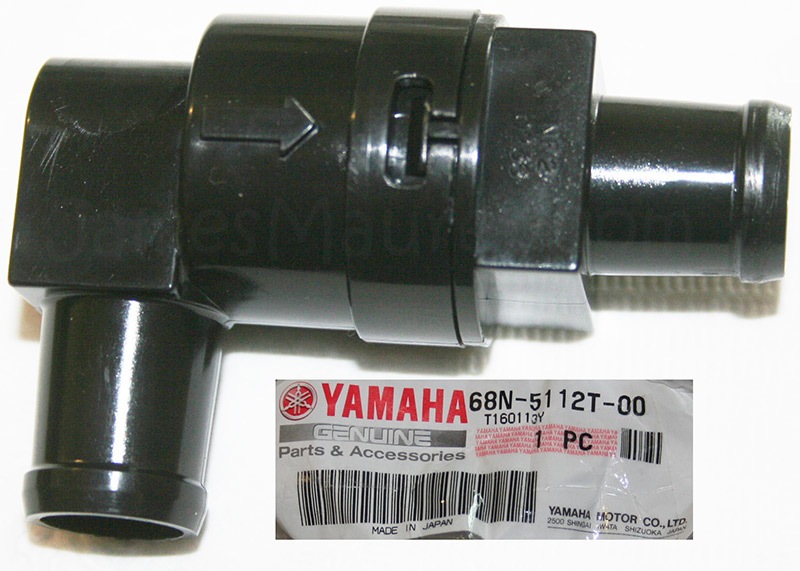 Yamaha OEM JOINT HOSE 68N-5112T-00-00 check valve to prevent water from entering hull of Waverunner. Installing an Electric Bilge Pump – Just in Case! The fact is, water will get inside the hull of your jetski, and if you are hit by waves and can’t move, the siphon bilge pump may not work! I decided to take this opportunity and install an electric bilge system that doesn’t rely on the Waverunner moving through water to work. If water gets into the engine compartment, and the siphon system fails, this automatic system kicks in and does the job! Because the siphon system doesn’t require a pump, it can be flush with the bottom of the engine compartment (hull). The electric pump requires that you cut a 1″ piece of wood at an angle (like a door stop (wedge)) so that the pump can be mounted level with the hull. Because of this, the pump sits much higher then the siphon system and you end up with water never being fully drained. The two of them working together is perfect. The electric system kicks in when the siphon system if overloaded, and the siphon system drains the remaining water when it can. 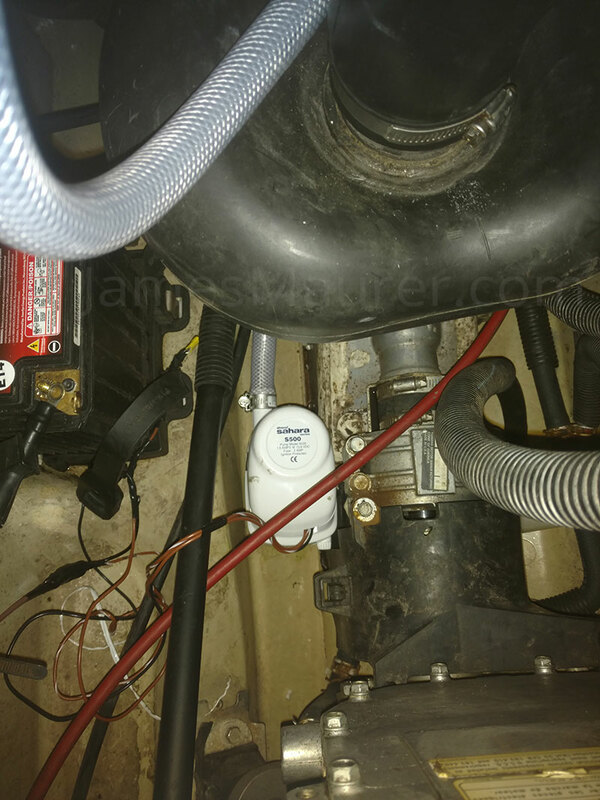 I purchased an Attwood Sahara 500 Automatic Bilge Pump 12 VDC from Walmart for $39.33, used some 5/8 braided tubing to get the water from the pump to the hole I drilled at the back of the Waverunner. This new electric bilge pump removes the water from my waverunner engine compartment and serves as a backup to the siphon system should it fail. Tools and parts used to drill new water exhaust and what it looks like installed. The new electric bilge pump removes water from the hull when the siphon system fails and ejects it through this new outlet. When jumping small waves, the electric bilge pump may randomly turn on and off even though there is no water in the hull, so I installed a toggle switch to turn it off completely. If however, I’m hitting large waves that I know will get into the engine compartment, I simply flip the switch to turn it on. The last thing I need is to have the battery die out in big waves, especially on Lake Michigan! The plastic washer, which does not look centered, was used with a two way switch purchased from Ace hardware. Left is off, right is on. When on, electric bilge takes over when siphon system fails to remove water from engine compartment. Have any questions? Just leave a comment and I’ll do my best to answer in a timely manner. BTW – Here are some sweet tips on how to fix a Waverunner that is running slow and how to fix a Waverunner that Stalls. Hi, This is very interesting. I have a Yamaha Cruiser 210 HP bought new in around 2010. Just about to bring my Yamaha into the dealer and did a quick search then found your siphon tube problem. Mine was completely missing! Fixed it with the information you provided and back on the water. If you had a tip jar, I’d drop a big one in there! Review of Gunvault Biometric Handgun Safe Park Place Hotel in Traverse City – Worst Room Yet!